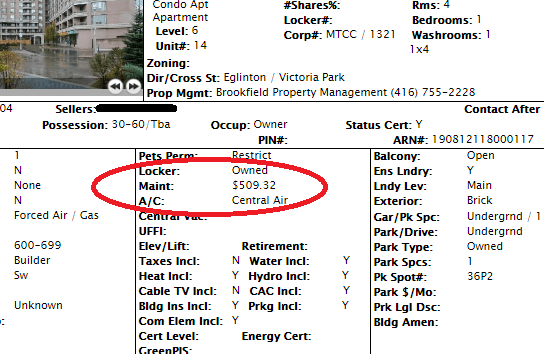 If you are looking to buy a condo, one thing you will see on every listing is a “maintenance fee”. The maintenance fee is a monthly amount that owners of a condo MUST pay to maintain their ownership in a condominium based on their proportionate share of the building (the amount of square footage they have exclusive access to). Unlike buying a house where you are buying that specific property, when it comes to condos you are actually buying into a corporation which oversees the management of the entire property. You not only purchase your specific unit, you take on the financial responsibility of maintaining the entire property which is shared among the owners of the condominium. Even if you never plan to use that swimming pool, or games room, if you buy in a building that has those amenities, you will end up paying for them. Why are the maintenance fees so high in some buildings? To determine which is true for a particular building, it is best to discuss with your realtor. If you have questions about a specific condo building in Toronto where you want to know what is included in the maintenance fee, or why they are so high/low feel free to contact me anytime.